DescriptionScatter your party table with this colourful confetti from the Showered With Love range. Each bag contains a mix of fun designs featuring baby motifs and ""Baby Shower"" text. Each pack contains 14gms Confetti. 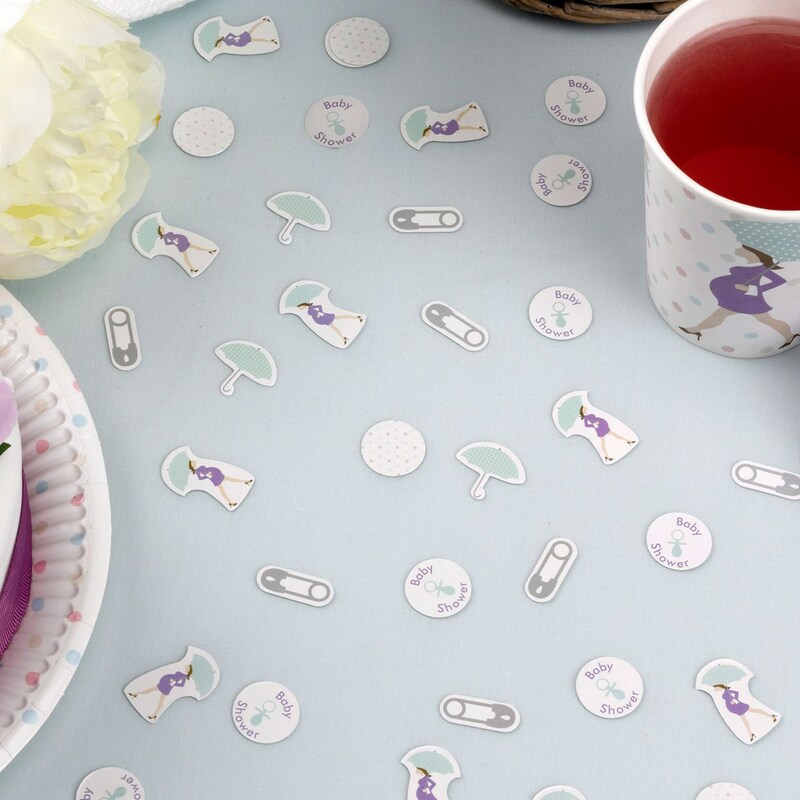 Scatter your party table with this colourful confetti from the Showered With Love range. Each bag contains a mix of fun designs featuring baby motifs and ""Baby Shower"" text. Each pack contains 14gms Confetti.